Here are the changes made so far during the re-work downtime. In the past we've taken long periods to get larger updates out, but as you can see this time we have the proper development and time to do so faster. A large majority of suggestions were implemented already, and we plan to continue pumping out content and re-working many areas of Pre-Scape for when we go back online. Until then, I will be posting logs after we've completed here and there, to keep all of you in the loop of what we've been up to and what to expect. Expect more logs as we continue reaching completion points. Only shops that have items inside the Player Owned Stores will be displayed to players. Vengeance / Teleblock / Barrage timers have been added. Barrelchest Anchor has been added with its special. Added Player Owned Store History Button Log. - Will display the last 10 items that were purchased from your store at what value. Premium Donators can now type ::Star and will teleport straight to the shooting star, legendary donators can use this command and it will display where it is located. 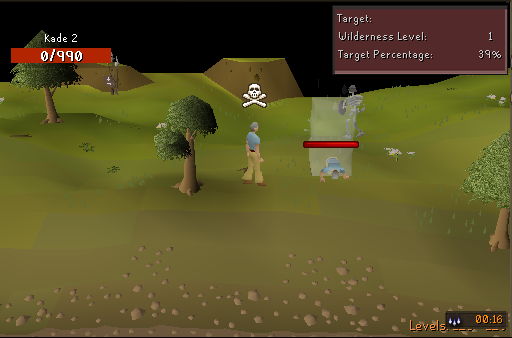 Once your character has left the wilderness you will be automatically unteleblocked. Players who are able to escape from their opponent and log out, upon login their teleblock will be removed. Insta-Kill Darts have been introduced to Pre-Scape. Using this dart upon any boss besides Zuk will instantly kill the npc and release the drop. Players will now have to pay a price to obtain their untradeables back. This can occur by speaking to the reaper at home. All untradeables are 5,000,000 each. If a player kills an opponent who had an untradable on them upon death, the player will receive, 2,500,000 GP added to their pouch as a reward. That's all for this log, be sure to expect a lot more in the coming days. Share our re-work changes with your friends and old Pre-Scape members so we can be one step closer in being successful. Such a great update once again. The Grim Reaper is a good one! Do players get 2,5m / untradeable piece or just 2.5m no matter how many pieces the opponent is wearing? Very nice! Looking forward to play Pre again!